September’s here and there's one main thing on most people's minds: back-to-school! The summer holidays seem to pass by so quickly, but for many it now means getting back into regular routines for both kids and parents alike. Routines are important for all of us, to help manage time, money, relationships, sleep cycles, eating habits, exercise and our health. We often bundle the kids off to school in the same manner as we bundle ourselves off to work: rushed, tired, and laden with bags, then expected to sit and concentrate for 8 hours in uncomfortable chairs. 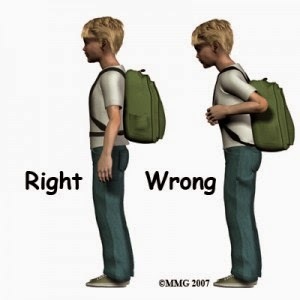 Read these few tips to help with your child's ergonomics, to ensure and happy & healthy return to school. Don't forget, they can suffer from back pain too...but can't make sense of it the way we do! AND MOST IMPORTANTLY, encourage your child to talk to you about any aches or pains they may be experiencing. 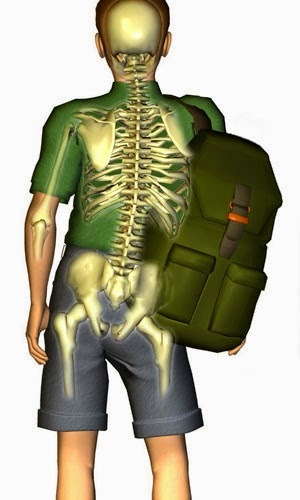 if they are suffering from any issues, get an osteopathic examination to ensure there's nothing more serious going on. Newer PostARE YOUR DAILY HABITS CAUSING YOUR PAIN?